School officials say the monitoring was about keeping students safe, not punishing them. But critics say it expanded the role of police in schools and increased surveillance of children. This is a collaboration between ProPublica Illinois and WBEZ Chicago. In January 2017, after a social media analyst for the Chicago Public Schools reviewed the Facebook profile of a Roosevelt High School student and began to suspect he might be in a gang, a police officer was summoned to the school to conduct an intervention. There wasn’t any imminent threat of violence, but the officer and a school district security official met with the student. They asked if he was in a gang. “That is my business,” the student replied, according to a report from the intervention. The officer, a member of the Chicago Police Department’s Gang School Safety Team, told the student he needed to be more respectful. The student said he was not in a gang but did hang around gang members. Over the past four school years, more than 700 CPS students have been called into interventions like this one based on social media activity that points to their possible gang involvement. The interventions are one result of a $2.2 million award the district received in 2014 through the U.S. Department of Justice’s Comprehensive School Safety Initiative, which provides grants for violence prevention efforts. The grant covered salaries for two intelligence analysts and social media monitoring software to analyze students’ online conversations, though officials stopped using the software in 2017. Jadine Chou, the school district’s chief of safety and security, said the analysts used keyword searches to find threats at the program’s target schools, rather than plugging in individual students’ names. Funding for the program ran out after 2018, but district officials said they plan to continue it in some manner, saying it keeps kids safe and gives them much-needed support. But the approach has raised concerns, in part because most students and parents weren’t told about the program or that school officials would be taking on a greater role in monitoring students’ lives. And it expanded the role of the Gang School Safety Team, a small police unit created in 2008 with a somewhat narrow mission: to intervene after a young person gets shot. After a shooting, officers show up at the victim’s school, seeking to ease tensions and head off retaliation. With the program, officers went into schools before violence erupted. Monitoring can save lives if it’s done right, said Desmond Patton, an associate professor at the Columbia University School of Social Work who studies social media and gang violence in Chicago. But it can also venture into over-policing, what Patton describes as a sort of virtual stop and frisk that disproportionately targets people of color. “Oftentimes when we talk about threats and violence and trauma, we are really speaking about black and brown communities,” Patton said. “So we are not zooming in on the young people at Jones College Prep or Walter Payton or Northside,” top Chicago high schools with more white students than black students. Of the 24 schools in the monitoring program as of last year, 16 are majority black and five are majority Hispanic. 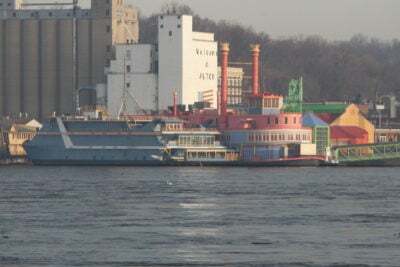 Most are on the South or West sides. Forty-six percent of all CPS schools are majority black, according to the latest available data. 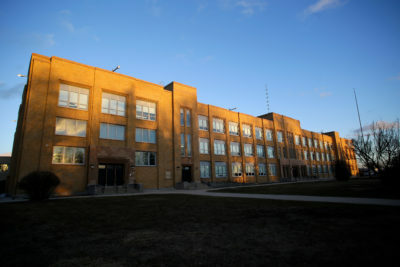 “It feels like a surprising invasion of privacy,” said Carisa Parker, whose daughter is a freshman at Morgan Park High School, one of the target schools. 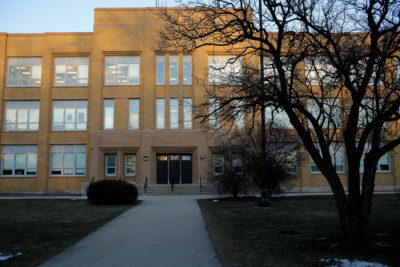 Though she has no indication her daughter’s social media activities have been monitored, she said the district owes it to parents to explain how and why her Far Southwest Side school and the others were chosen. Knowing that violence between students often can be traced to social media posts, CPS officials pursued the grant as one way to head it off. Some principals say such posts play a role in more than 90 percent of fights between students, according to a report on the program by the University of Chicago’s Crime Lab, which helps cities study violence reduction efforts. In 2015, the district began the pilot, known as “Connect and Redirect to Respect,” at 16 elementary and high schools to monitor students’ public-facing social media. It eventually grew to 24 schools, covering some 25,000 students, according to the Crime Lab. If students were found to have posted gang-related material, then district security specialists and school administrators would meet with the student and link them with mentors, counselors and part-time or summer jobs. In cases where the student posed with a gun or appeared to threaten violence, officers from the Gang School Safety Team were brought in. Officers were also present in some cases where no gun was involved, incident reports show, and they weren’t called in every time there was a gun. A review of more than 400 incident reports from the 2016-17 and 2017-18 school years by ProPublica Illinois and WBEZ shows that a police officer was brought in or informed at least 87 times. In dozens of other instances, the district’s records offer no clear indication of whether an officer intervened. The interventions typically occurred in the same way. First, an analyst found a post or got a tip about a post, most often on Facebook, that showed a student flashing gang signs or holding what appeared to be a gun. The analyst told the district security specialist, who started an intervention — sometimes with a police officer present, and almost always with a school dean or principal in the room. The student was asked about gang ties, warned of the dangers of posting gang-related content on social media and encouraged to delete the relevant posts while the adults watched. In many cases, the student denied being in a gang and insisted the weapons in the photos were BB guns or toys, according to the review of the incident reports. In another case at Taft High School, on the Far Northwest Side, the Gang School Safety Team and a police officer based at the school met with a student who was seen displaying gang signs on Facebook. The student first refused to answer questions and then called his or her mother, who told the officials to speak with her lawyer. But the approach made sense, Chou said, because the goals weren’t punitive. The review of the more than 400 incident reports suggests the district mostly avoided punishing students. Only a handful of incidents appear to have prompted arrests — those were physical fights that stemmed from online spats, with the interventions occurring later — and the reports rarely indicate that students were disciplined for their posts, although administrators sometimes threatened discipline if the posts continued. Some incidents did rise to emergency levels. At least four times, the Gang School Safety Team was called to investigate school shooting threats made on social media, and officers made after-hours visits to students’ homes to tell parents and make sure the student didn’t have access to a weapon. In one case, a student was disciplined for posting an advertisement through Facebook as a “School Shooter,” touting himself as a “very talented aimer with great gun skill.” But CPS was alerted to those threats through tips, rather than monitoring by the analysts, incident reports show. 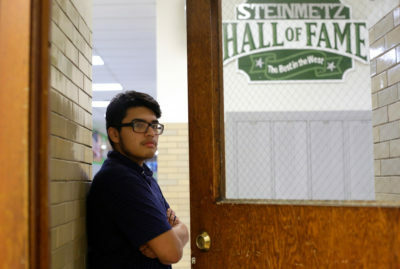 Frank Cabrera, a senior and class president at Steinmetz College Prep on the Northwest Side, said he imagines district officials implemented the program with “good in their heart.” But he wishes he and his classmates were told their school was a part of it. Chou said school officials have mentioned to parents at community meetings that the district monitors social media for threats, but ProPublica Illinois and WBEZ found that many students and parents at the target schools were unaware. Advocacy groups like the American Civil Liberties Union of Illinois find it difficult to justify broadening the function of police in communities they say are already over-policed. “If they are going to monitor, there needs to be notice to the students and the parents about what sites are being monitored, how they are being monitored … and what they are going to do with all of that information,” said Rebecca Glenberg, a senior staff attorney for the group. District policy says school officials should only call the police for one of two reasons: to seek help with an “emergency situation” or to notify them of a crime. In documents about the monitoring program, CPS officials said social media posts indicating gang affiliations don’t warrant a call to police, unless there’s also a gun involved or a threat of violence. In non-emergency cases, administrators are supposed to make “reasonable efforts” to contact a parent or guardian before calling police. That contact is mandatory in cases with elementary school students and encouraged in those with high school students. But incident reports — like the one for the Taft student who called his or her mother — suggest the effort is not always made. 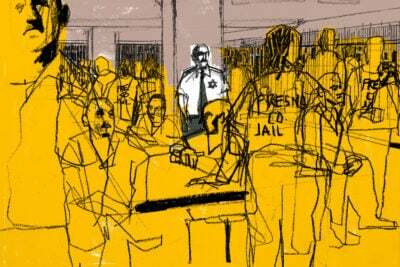 Even when arrests aren’t made, advocates worry the intelligence gathered by police will have negative consequences for students, especially given that some interventions include officers pressuring them to admit their gang affiliations. Glenberg wondered if students’ names are being added to the department’s controversial gang database. Chou, the district’s safety chief, said there’s no need for concern that a student identified through the program would end up on the gang database. But a police commander who oversees the Gang School Safety Team was less unequivocal. Sgt. Gus Vasilopoulos of the Gang School Safety Team said police often create their own documentation of the interventions. The school district has no written agreement with the Police Department prohibiting the unit from documenting interactions with students or even adding them to the gang database. 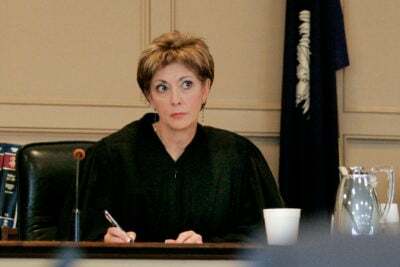 “There are so many that we don’t document everything, [but] if we talk to the kid, we do document and we do some kind of gang investigative” supplemental report, Vasilopoulos said. A lack of transparency about the program itself has also prompted skepticism. The school district apparently implemented the monitoring without telling students and parents. This is not only problematic but also a missed opportunity, said Parker, the Morgan Park parent, who had two older children graduate from the school. She said she’d never want her child in a room with police without a parent there, and she’d also want to know about a disturbing post so she could talk to her child about it. Chou said there’s a difference under district policy between “interventions,” where a parent does not need to be present, and “meetings,” where parents must be brought in. Even some school officials weren’t told their students were being monitored. In August 2016, when the Crime Lab conducted interviews with 26 administrators, “only a few” at the target schools knew of the program’s existence. Administrators at schools the Crime Lab used as controls to measure outcomes said the concept made them uneasy. “When we described the program to the control schools, a few did not want the program because they felt like it could be an invasion of the students’ privacy,” the Crime Lab wrote in a progress report. Chou emphasized that the intelligence analysts only look at public posts, or screenshots of posts shared with them. They don’t send friend requests to evade privacy settings, she said, and she acknowledged that the software they stopped using in 2017 not only proved ineffective, but also made her uneasy. Still, three-quarters of administrators interviewed by the Crime Lab said their schools monitored social media on their own, typically by having a staff member friend students on Facebook and check their posts at night and on weekends. With some of the grant money from the Department of Justice, CPS hired the two analysts to comb through students’ publicly searchable social media, including posts made off campus and after school. Both analysts previously worked as security officers for the district, according to resumes obtained by ProPublica Illinois and WBEZ. The grant also subsidized the district’s use of a surveillance software called Dunami, which has been purchased in the past by the FBI and the Department of Defense and helps users identify influential figures and map out human networks based on social media activity. The district used the tool until 2017, when officials decided other methods — namely, manual keyword searches by the analysts and following up on tips from staff and community members — were more effective and less intrusive. To measure the effects of the program, the Crime Lab compared shooting victim data at target schools with data from schools with similar demographics. How high schools have embraced the Trump administration’s crackdown on MS-13, and destroyed immigrant students’ American dreams. In a final report released in late January, the lab said students at the target schools experienced almost 30 percent fewer shooting incidents outside of school than students in the control schools, though the Crime Lab said this result was not statistically significant because the sample was too small. Now, with funding for the grant expired, school officials acknowledged in a December memo to the Department of Justice that the number of students identified through social media searches would “drastically” decline. But Chou said an intelligence analyst remains on staff. Social media monitoring is going to continue. Aaron Leibowitz is a freelance reporter. Follow him on Twitter at @aaron_leib. Sarah Karp is an education reporter with WBEZ. Follow her on Twitter at @WBEZeducation and @sskedreporter. WTTW reporter Alex Ruppenthal contributed reporting.